The Training on Business Etiquette provides a basic understanding of the Business Etiquette and its importance in any type of organisation. Employees play a big part in how that corporate brand is delivered and defined inside and outside of the company. This course will enable a person to build and demonstrate a professional image and output. This training is relevant and applicable to everybody in the organisation. From Board Members to the workers – In brief, anyone involved in the organisational processes should undergo this awareness program. However, Consultivo Academy can design & develop this course for any set of target participants as per the need of the organisation. Conskills is the specialised worker training hub from Consultivo. The course-duration can be chosen depending on the requirement, course coverage and target participants. Need to train your team/organisation? This course features a unique learning approach that provides an individual knowledge & awareness building experience through an overview and basic knowledge of occupational health & safety. 2. Let’s make the FIRST IMPRESSION effective!!! How? The course can be tailor made in terms of duration, level of detail, and according to company requirements. Consultivo courses are equipped with Pre and Post course assessments(where applicable) to evaluate the learning effectiveness. Organisations may opt for a Training Summary Report after completion of the training session. The report generally summarises the output of the session in terms of satisfaction and knowledge gained when applicable. Successful Completion of the Industrial Safety Awareness course earns you a Consultivo Academy Certificate, an industry-accepted & recognised safety programme based on proven best training practices. Nationally/Internationally accepted certificates are issued by Consultivo Academy. You may also opt for a joint certificate by Consultivo Academy & ICC (Indian Chamber of Commerce) or ISTD (Indian Society of Training & Development). Pick from our quick learning sessions (generally of 3-hour duration) under our ‘OTP – One Topic Programme’ for your workers, supervisors and engineers. You may choose your most relevant topics like: Business Etiquette and its Importance, Communication with Seniors and Peers, Email and telephone etiquette, Self-esteem and self-disclosure, etc. An assessment of the competency improvement on Business Etiquette is also suggested after a certain time interval. It is recommended for the participants to go through an e-learning refresher course after one year. Trainers’ Profile: All Consultivo trainers are having 15-30 years of hand on industry experiences backed up by relevant education and professional qualifications. They are also specially trained on the training skills and techniques and adult learning pedagogy. 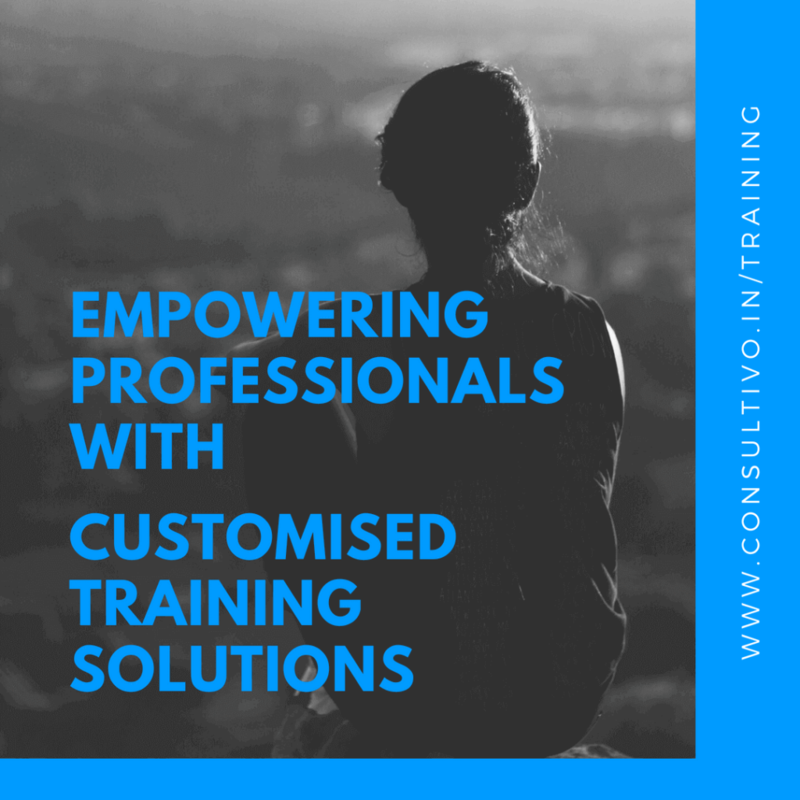 Onsite Training: Onsite trainings are organised at your place with customised course content specific to your organisational hazards and target participants. Online Training: Organisations may opt for developing this course in eLearning format (SCORM) to run through their own eLearning Management System (LMS) platform. Consultivo developed eLearning courses are interactive, modular and can be developed in vernacular languages. Public Training: Consultivo Academy organises regular public courses on Electrical Safety where you may nominate yourself or your colleagues. In our public courses, participants from different industry sectors join to share their experiences and gain collaborative subject knowledge. If there’s anything we may help you with, please let us know. Do you want us to get in touch with you? We would love to.